Every year, an overwhelming number of taxpayers become victims of tax identity theft. Tax-related identity theft is when someone uses your Social Security number to file a fraudulent tax return and claim a cash refund. You may not know that you are a victim until you e-file your return and discover that a return has already been filed using your personal information, or the IRS may send you a letter that notifies you of a suspicious return using your SSN. For 2017, the IRS has joined with the states and the tax industry to put new safeguards in place to protect taxpayers from tax-related identity theft. While most of these new features remain confidential so that criminals don't catch on, the expanded safeguards are designed to ensure the authenticity of both the taxpayer and the tax return. One smart step you can take is to get an identity protection pin (IP PIN) from the IRS. An IP PIN is a six-digit number assigned to eligible taxpayers, and designed to prevent the misuse of your SSN on fraudulent returns. You are eligible for an IP PIN if you received a CP01A notice from the IRS containing your IP PIN, or if you received a letter from the IRS inviting you to opt-in to the program. 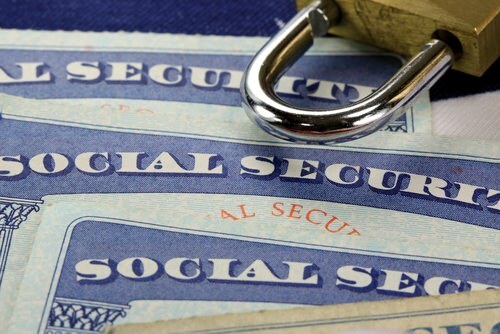 Keep your Social Security number secure, and only share it in situations where it is absolutely necessary (such as to your employer, or when filing taxes). Avoid carrying your Social Security card or number around with you, and keep it in a safe place. It's also important to consider what your tax preparer is doing to protect your identity. At All About Numbers, all documents and data are kept under lock and key, and electronic files and folders are encrypted to protect client tax information. The IRS will only contact you by mail, and does not request personal or financial information by email, text messages, phone calls, or social media channels. The IRS also doesn't threaten taxpayers with lawsuits or prison time, or demand that you pay a specific way (such as with a prepaid debit card). If you receive any unknown or suspicious emails, do not click on links or download any attachments, and block threatening calls or text messages from scammers who may pose as your credit card company, bank, or even the IRS. And while the IRS will only reach out by mail, be sure to carefully evaluate any letter before you act—it's easy to steal a legitimate IRS form from the mail and make a copy. Instead of automatically calling the phone number listed on the letter, call the IRS's main number instead. If the letter is legitimate, they will have a record of it on file. Learn more about current tax scams and how to recognize the telltale signs of a scam from the IRS tax scam consumer alert.